A 1220 SQFT 3 bedroom maisonette spread over the entire first floor of this imposing semi-detached property. 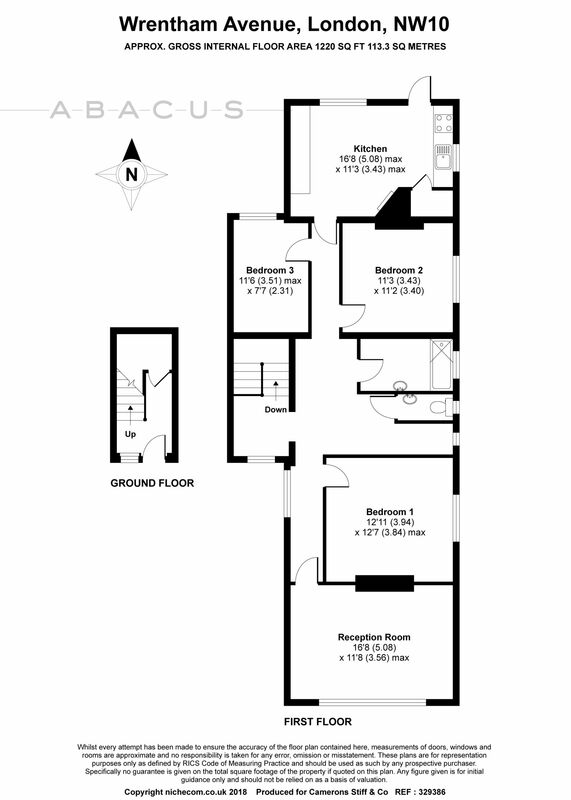 Benefitting from a sunny reception room, kitchen/breakfast room, family bathroom and separate WC. Further benefits include its own entrance, large loft that can be converted, 900 year lease and NO CHAIN. Well positioned to the tranquil beauty of Queens Park coupled with the bustling Chamberlayne Road & Salusbury Road.